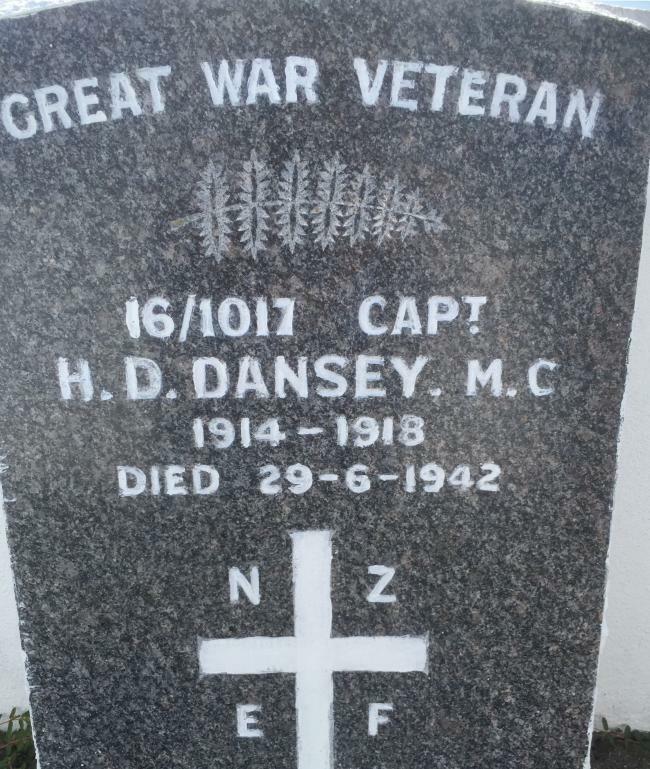 Harry Dansey was the eldest of the three brothers who saw service as members of the Pioneer Battalion on the Western Front. His other brothers were Maj Roger and Capt George Dansey. All three brothers returned home all affected by their overseas service to a greater or lesser degree. In his retirement he entered into Rotorua local body politics when he contested the mayoralty election against long standing popular mayor Tommy Jackson and defeated him. His success was however short lived as he passed away shortly after taking office and was succeeded by his deputy, Prentice Arthur Kusabs my father’s first cousin. He is buried with his two brothers and his son at Muruika Soldiers’ Cemetery at Ohinemutu, Rotorua. Family collection, courtesy of Andrew Kusabs (grand nephew). No restrictions on use.